How about seven hugs? 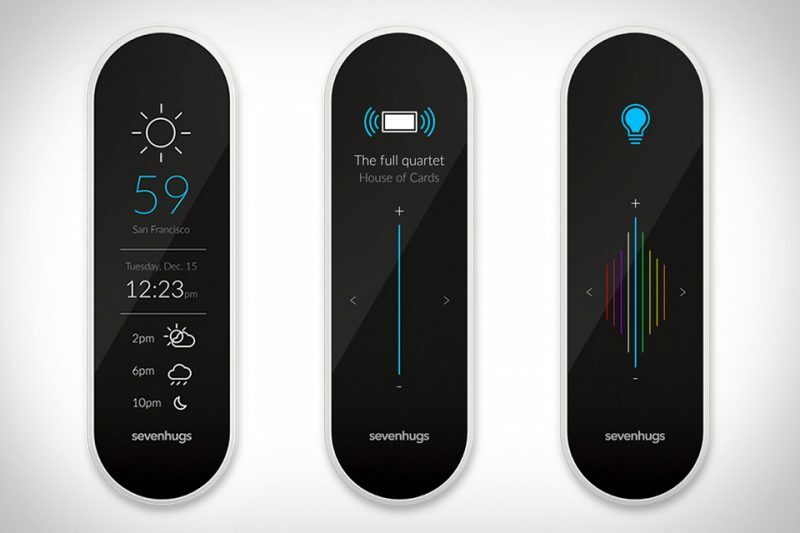 Or better yet, this ultimate smart remote by the minds behind Sevenhugs. And when they say smart, they are referring to a whole new ballgame of technology intelligence. It takes the place of your phone and all the apps you use to control the ‘smart’ stuff in your home. It accomplishes this with a slick touchscreen that serves itself up with different remote faces depending on which appliance you are pointing it at (photo above). Let’s say you want to turn up the tv – just point it in its direction and the volume will appear. Now you want to dim the lights – no problem, just point it towards your smart controlled lamp and the sun and stars and practically within your control. We’ve always dreamed of playing God, and now we can finally get a taste of what that kind of power feels like (sinister laugh).